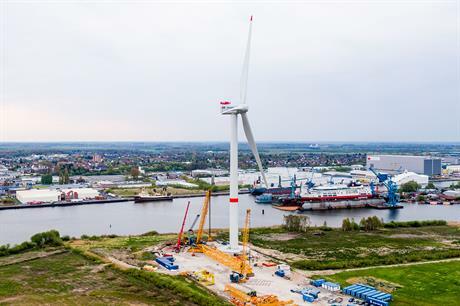 GERMANY: Manufacturer Adwen has completed the installation of its 8MW prototype turbine at a site in Bremerhaven, northern Germany. The turbine is due to enter a testing phase soon before being rolled out across 1.5GW of offshore capacity in France, between 2020 and 2022. Adwen is now owned by the recently formed Siemens Gamesa Renewable Energy (SGRE) manufacturer, which was formed at the start of April. Its 8MW machine features the world's longest offshore wind blades. 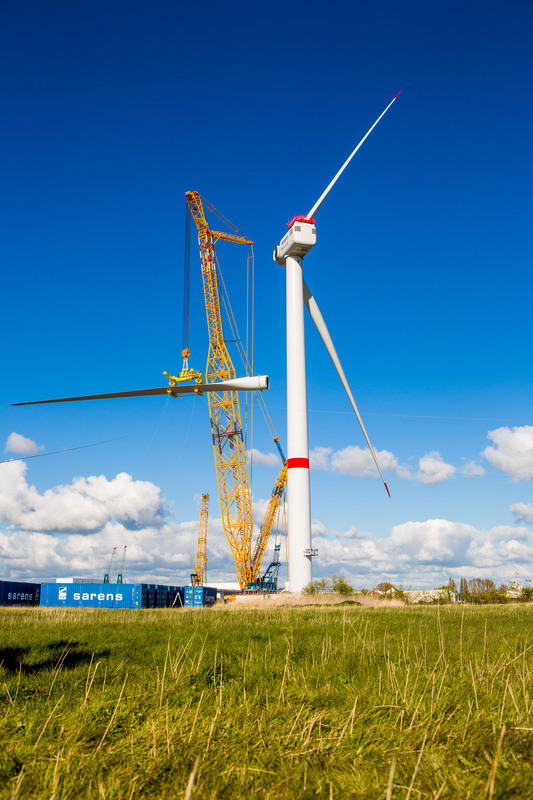 At 88.4-metres in length, the blades give the turbine a 180-metre rotor diametre. Danish firm LM Wind Power, now owned by GE Renewable Energy, which in turn had an offer for Adwen reportedly turned down by Gamesa in August 2016, helped to design the record-breaking blades.